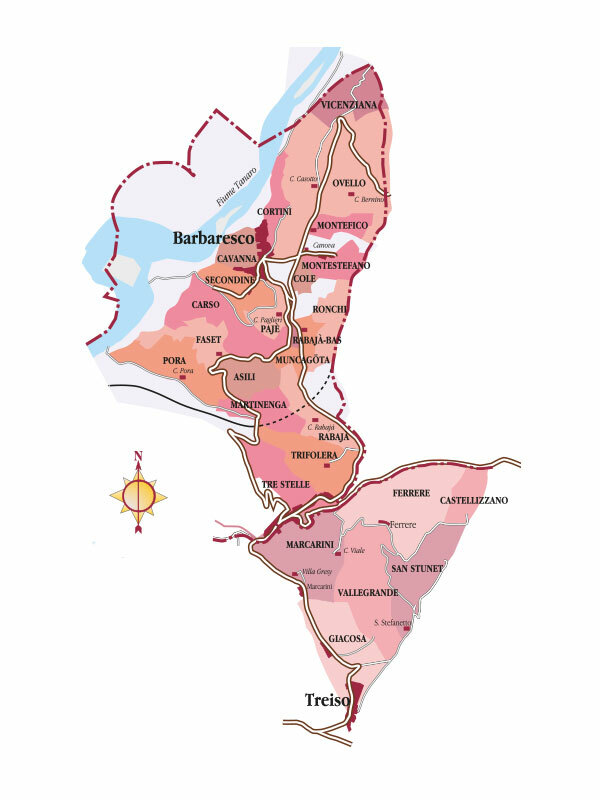 Ca’ del Baio’s nerve centre in Treiso stands close to the neighbouring village of Barbaresco, and not far from Neive. Numerous vineyards are located in the vicinity of the winery itself, in particular on the Vallegrande and Marcarini Additional Geographical Indications, or crus. Others, meanwhile, are to found in the village of Barbaresco, on two Additional Geographical Indications: Asili and Pora. 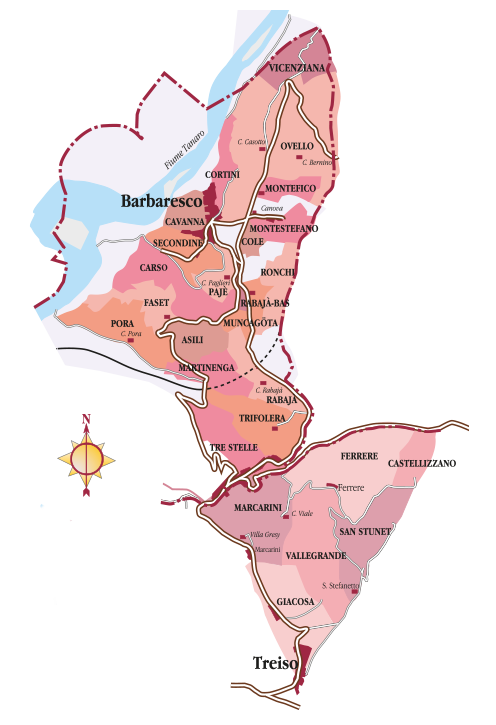 As far as the soil is concerned, for the vineyards in Barbaresco it can be traced back to Sant’Agata Fossil Marl (the Tortonian Age): in other words, quite compact, bluish calcareous marl. The soil on the vineyards in Treiso is very similar, as the two crus in this commune on which the Ca’ del Baio vineyards are located lie very close to the border with the village of Barbaresco. So here in Treiso too the soil is a compact mix of the bluish marl and limestone known as Sant’Agata Fossil Marl. Let’s examine in greater detail the Nebbiolo vineyards that fall within the four Geographical Indications.